We’re happy to partner with Time Life to offer a giveaway opportunity for The Tonight Show Starring Johnny Carson – The Vault Series DVD set, which includes six DVDs containing 12 Tonight Show episodes plus two hours of exclusive extras. One lucky reader will win the newly-released DVD collection. 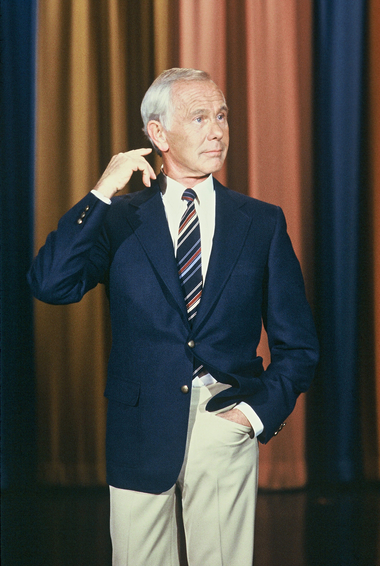 The Tonight Show Starring Johnny Carson – The Vault Series is currently available to own – click here for info. 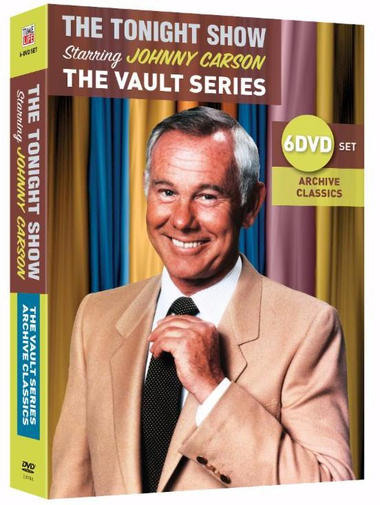 One household will win The Tonight Show Starring Johnny Carson – The Vault Series six-disc collector’s set on DVD. Enter using the Rafflecopter form below (U.S. entrants only, no P.O. boxes) by October 24, 2016. Folks, Jimmy Fallon is great but even he would likely concede: Johnny Carson is forever the King of Late Night. The late, great Carson hosted The Tonight Show from 1962 to 1992, making his 30-year reign the longest the venerable show has seen to date. From Time Life’s press materials: “This fall, home audiences will be able to enjoy the very best of late night, any night, with THE TONIGHT SHOW STARRING JOHNNY CARSON: THE VAULT SERIES. The singular collections, new to retail and available in multiple configurations, feature Johnny and the inimitable Tonight Show crew in full episodes fresh from Carson’s vaults – including commercials! THE VAULT SERIES gives viewers the opportunity to relive the incomparable magic of a night with Johnny, Ed and Doc. These collections feature some of the best and most-requested episodes from over 30 years and 4,000 shows — including material not seen by the public since the original broadcasts! Note: This giveaway is for the six-disc configuration. Here is the rundown on the different configurations available for purchase: THE VAULT SERIES retail DVD configurations includes a single disc release (2 shows; $14.95srp), a 3-disc collector’s set (6 shows + nearly an hour of bonus features; $39.95srp), a 6-disc collector’s set (12 shows + two hours of exclusive extras; $59.95srp) and a 12-disc deluxe edition collector’s set (24 shows + over 4 hours of exclusive extras; $99.95srp). One lucky winner will be drawn at random and notified via email. The winner will have 48 hours to respond to our notification with their complete name and U.S. mailing address (no PO Boxes). Failure to respond within 48 hours will result in forfeiture and another winner will be selected. For complete giveaway rules: Giveaway Rules and Restrictions. Yes, I love to watch late night talk shows. 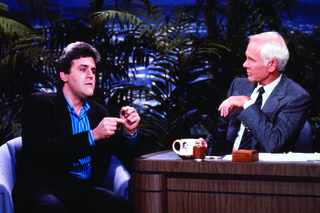 My husband and I enjoy Johnny Carson, But I also like Jay Leno. I have always been a fan of Johnny. But I like Jimmy Fallon’s inventiveness. Now I sometimes watch late night talk shows. Johnny Carson was my favorite late night talk show host. Johnny Carson is and always will be the best! Johnny Carson was the best. I do like the late-night talk shows; that is…if I can stay awake that long. I even remember watching Johnny Carson as a kid. He was the best. I think it’ll be hard to ever beat Johnny Carson, but I also like Jimmy Fallon. That episode of the lip sync battle with Melissa McCarthy is hilarious! It’s difficult to choose one favorite late night host! My favorite of all time, if I had to pick, is Jimmy Fallon. I would have to say Jay Leno, oddly enough. I have always been a fan of Johnny! Johnny Carson was the best! To me Johnny Carson will always be the best host of all time. Oh yes, I watch them all the time. Without a doubt it was Johnny Carson!!!!!!!! Carson was and will always be my favorite.